Playing blackjack online for real money requires players to deposit cash into their account via a number of different services. 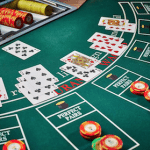 This guide will help our international readers find the best deposit options to use at their preferred online casino, and take a look at the methods offered at some of our top-rated and recommended sites – each with their pros and cons – to find what payment method works best for you. The majority of online blackjack casino sites offer a range of deposit and withdrawal options to cater to players from different countries around the world. The most common options offered are credit, debit and direct bank transfer (also called money wiring) as they are generally the worldwide standard, but several casino sites also support country-specific services which often help out players from regions that are typically ignored by the big banks and card brands. For information about depositing from the USA, read our United States online blackjack guide. Generally, financial transactions from credit and debit cards are processed the fastest. This is usually the quickest means of transferring money into casino accounts, in addition to withdrawing funds from them. Reputable casinos like Royal Vegas will ensure that using debit and credit cards is safe and reliable and that players can deposit and withdraw as much as they desire, with maximum deposits usually only limited by your card’s personal limitations (you can check with your provider to change this). Minimum deposit and withdrawal amounts do apply with card, however (usually $10 for deposits, $50 for withdrawals). For complete peace-of-mind, check your casino for certificates that prove the quality of their security. Many of our listed online casinos display the eCOGRA (eCommerce Online Gaming Regulation and Assurance) stamp of approval, meaning they are tested and accredited by a reputable gambling industry watchdog eCOGRA is a reliable sign that using credit and debit cards as a deposit option at this casino will be safe. VISA: VISA credit and debit cards work at almost all established Web casinos, being one of the most widely accepted and used cards due to deposits made with it being processed instantly. Like other mainstream banks, VISA uses 128-bit Secure Socket Layer Digital Encryption technology to protect your transactions across the web. VISA has no additional fees when you make transactions online so none of your money is wasted in making the transaction. The only downside is if you only have a Visa debit card and not a credit card, it can be difficult to make a withdrawal. 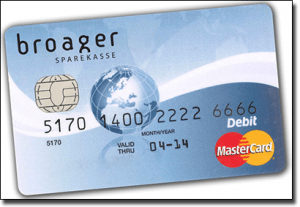 MasterCard: MasterCard is similar to VISA in both popularity and usefulness – it’s supported by the majority of online casinos, processes fund transfers instantly and also uses 128-bit Secure Socket Layer Digital Encryption so you know your transactions and details are protected by state-of-the-art technology. MasterCard does not charge you with extra fees for making online transactions so there are no added costs to you funding your casino accounts. American Express: Because of the extra charges American Express imposes on Internet casinos, you will find that Amex cards are not accepted as often as MasterCards and VISA. However, certain venues do take Amex cards (usually these are American online casinos). Digital transactions with American Express are very safe – the drawback being casinos simply don’t process or support them as often. JCB Credit: Many most popular online casinos accept credit cards issued by the JCB Credit Bureau. They are a Tokyo-based company and have a large customer base in Asian countries. If you do have a JCB credit card, they are an excellent and safe way to load and withdraw funds from your casino account. In general, the default option we recommend for international blackjack players new to the online scene is credit or debit cards (MasterCard and Visa). They are globally recognised by several businesses (not just online casinos), have proven in-built security systems in-place and have trustworthy reputations for added peace-of-mind overall. However, we recognise that several countries have more restrictive legislation that does not allow them to use traditional banking methods such as bank transfer and card for online gambling purposes; thus, we will also detail several alternative deposit services that work just as well. Electronic fund transfer services (called e-wallets or web wallets) are common payment methods for those looking for an alternative to debit and credit cards. Many prefer e-Wallets as a way of funding their casino accounts because it doesn’t draw directly from your personal credit and debit accounts. Think of the web wallets as an virtual wallet only existing in the digital space. To use them, you must first transfer funds from your bank account to your chosen e-Wallet provider. From here, you may make other Web transactions using the funds available in your e-Wallet. Many people find this method safer than making transfers with providers straight from their bank account, because if something was to happen to their personal details, the only funds that could be stolen would be those already in the e-Wallet. Commonly used e-Wallets we recommend include: Click2Pay, ClickandBuy, Entropay, Ezipay, Neteller and Skrill. The downside to using an e-Wallet company compared to a credit or debit card is that it takes longer to process your transactions. This is because extra precautionary measures are taken, but it can slow down your play. It can take up to 48 hours to process your deposits into casino accounts and anywhere from 24 – 72 hours to process your withdrawals from online casinos. Neteller: Neteller is the most widely used e-Wallet for transactions with blackjack casino accounts. It’s easy to use and free to open up an account with the site. Neteller offers premium security, which is why punters playing with large amounts of money prefer using their services, particular high-stake bettors and VIPs. Certain casinos also reward players for using Neteller to load and withdraw funds. For players from countries such as the UAE, where depositing with credit or debit card is either restrictive or banned completely, services such as Neteller are highly recommended as an alternative deposit option with equally safe security measures in place. Royal Vegas Casino gives players an additional 10% welcome bonus when you make your first deposit with Neteller. Platinum Play is another online casino that rewards you for using Neteller on their site, granting 100 credits free for your first deposit using the service. Neteller is also supported when transferring funds on your mobile device, and the process is much the same as when you do it on a computer. Skrill: Like Neteller, many casinos give players a bonus of their first deposit using Skrill, formerly known as Moneybookers. We can vouch for their safety standards, as they use top encryption technology to keep your personal details and transactions safe. They also have a mobile-specific version, Skrill 1-Tap, to make depositing on mobile devices easier. 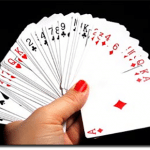 Paying for your casino play with a prepaid card has two main benefits. First, you don’t have to provide any of your personal bank details in the process of transferring funds, and you can only load the amount you have already put on your prepaid card into your casino, which can be useful if you want to better control how much you’re gambling. It’s also a good choice if you don’t have a credit or debit card you can use. Like all methods we recommend, prepaid cards are protected by high quality encryption technology and top security measures to protect your financial details. VISA and MasterCard offer customers prepaid cards where you first place your card with a specific amount of money. Once the funds are on the prepaid card you can load funds onto your casino Web account as you would with a debit or credit card. The drawback of prepaid cards is they cannot be used to withdraw funds from a real money casino, as they are disposable and not reusable. Paysafecard: One of the most commonly used prepaid voucher cards for online gambling, they are sold at retail outlets all around the world and are supported by many established online casinos. For players from regions like the UAE where it’s a lot harder to use traditional banking methods for online gambling purposes, Paysafecard’s widespread availability is convenient and recommended as an alternative option. Royal Vegas is one particular online casino which supports Paysafecard and caters to deposits from countries such as the UAE. An extra perk of using Paysafecard is the added privacy, as you aren’t using your personal details when depositing. Flexepin: A relatively new prepaid voucher card that’s slowly rising in popularity for online gambling, Flexepin vouchers can be purchased in Australia, Canada and Greece for now, with services expecting to roll out to other countries. Real money deposits using cheques and direct bank transfers? For most online casinos, depositing funds using a bank cheque is rare but some still do offer withdrawals via cheque. If you choose to withdraw from your casino account with cheque, you simply fill in your details and it will be mailed out to you. Direct bank transfers are also known money wiring and is when funds are transferred directly from your bank account and into your casino account. Players choose this method because banks utilise their bank’s proven technology to protect your transactions. For those who are wary of making online transactions (credit and debit cards etc) because they are distrustful of the Net, direct bank transfers are a good way to eliminate doubts from your mind when transferring funds. Bank wire transfers, or direct bank transfers, also allow you to transfer larger amounts of money than credit or debit cards all in one go. Direct bank transfers means your bank is dealing with the casino for you. Generally to start a bank transfer you sign up at the casino you want to play at. The drawback of bank wire transfers is that they aren’t free and they can be time consuming. There are also extra administration fees for this type of payment. Although the price of fees from most banks isn’t too significant the extra fees can add up if you’re regularly using direct bank transfer services. Another drawback is that a significant deposit can take 24-48 hours to be processed. Generally for larger deposits you will need to contact your bank via phone or in person at a brick and mortar bank to initiate the transfer. Australia has a fully regulated sports betting industry, learn about online bookmaker deposit options.